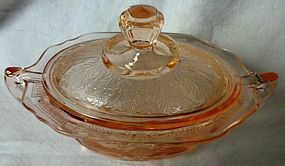 Fostoria Glass Company made this Lido relish from 1937-54. The 6" 2 part relish is in great shape. Thanks for looking. 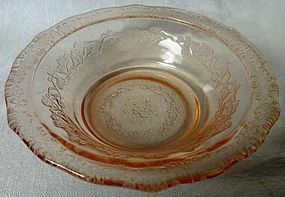 Cambridge Glass Company made this Caprice rose bowl from 1936-45. The 6" rose bowl is in great shape. Thanks for looking. 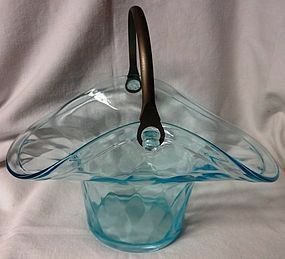 Fenton Glass Company made this 9 3/8" basket. It's in great shape. Thanks for looking. 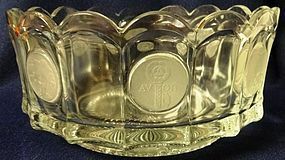 Paden City Glass Company made Ardith. This 11 5/8" flat edge bowl is in great shape. Thanks for looking. 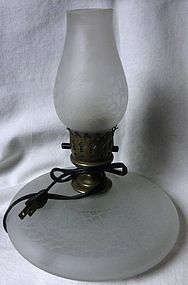 This electric lamp is in great shape. Thanks for looking. 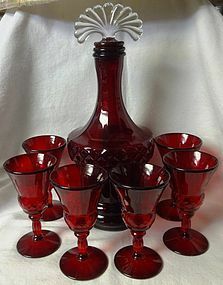 Fostoria Glass Company made the Line 5098 goblet from 1928-40. The 9 oz 8.25" goblet is in great shape. Thanks for looking. 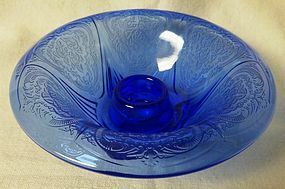 Fostoria Glass Company made this Coin bowl from 1859-81. The 8" round bowl is in great shape. Thanks for looking. 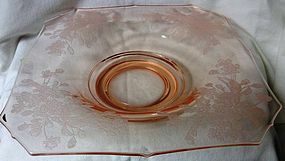 Hazel Atlas Glass Company made Royal Lace from 1934-41. This rolled edge candleholder is in great shape. Thanks for looking. 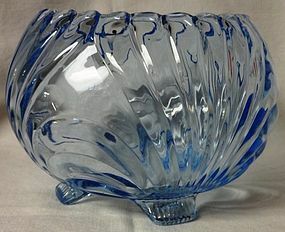 Hazel Atlas Glass Company made Florentine #2 from 1932-35. This shaker is in great shape. Thanks for looking. 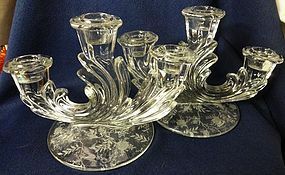 Fostoria Glass Company made these Chintz candlesticks from 1940-59. The 6" tall 8.25" spread candlesticks are in great shape. Thanks for looking. Paden City Glass Company made Gothic Garden in the 1930's. This 10" tray is in great shape. Thanks for looking. 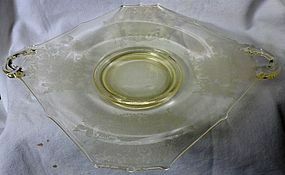 Federal Glass Company made Normandie from 1933-40. 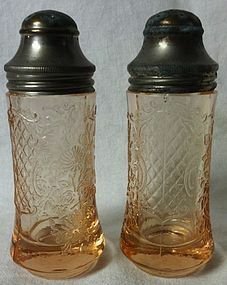 This pair of shakers is in great shape. Thanks for looking. 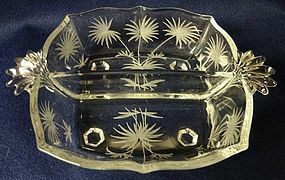 Jeannette Glass Company made Floral from 1931-35. 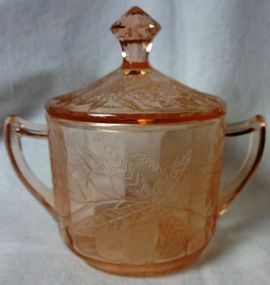 This sugar and lid is in great shape. Thanks for looking.